I.Wear is a new brand of smart clothes. The target is a young and environmentally conscious population, focused on the quality and origin of their purchases, and art lovers at the same time. I created the visual identity (including brands), developed the trend book for future collections, created concepts of the all media launch campaign, and stores opening campaign. 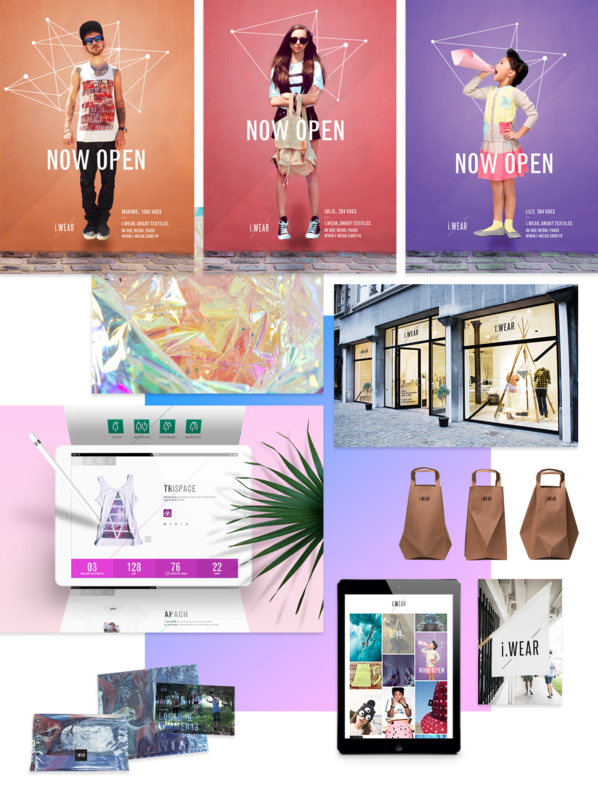 (press, lookbook, website, videos, digital apps), and finally designed the concept store layout.